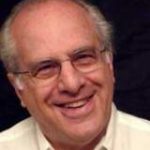 Professor Richard D. Wolff, fresh off a summer lecturing in Greece and France, gives his analysis on the massive European mobilizations and strikes. He also compares the US movement to the European one, and find the European workers to be much more advanced in their struggle. JESSE FREESTON, PRODUCER, TRNN: The past week saw mass mobilizations of the left in both Europe and the United States. But according to Richard Wolff, visiting professor of economics at the New School in New York, the European actions were of a much more militant nature. Wolff spent the summer lecturing in Greece and France. He joined us from New York. RICHARD D. WOLFF, ECONOMICS PROFESSOR, THE NEW SCHOOL: An absolutely historical event occurred in Europe. For the first time, perhaps ever, but certainly in a very long time, coordinated strikes and demonstrations occurred in nearly every European country, from one country, Spain, in which a general strike basically stopped everything in the country, to a coordinated demonstration at the center of the European Parliament in Brussels, to all kinds of strikes and demonstrations in Scandinavia, in Poland, in Great Britain, in Greece, in Portugal, in France, in Germany, demonstrating a solidarity and a unity across unions representing different kinds of workers in different countries, different levels of skill, immigrants, native folks. This extraordinary unity is all built around a central demand which can be conveyed by their chief slogan: we are the working people who produce the profits, the goods, and the service of the capitalist economy; we are not going to pay for its crisis. And that’s really the central demand, that if the banks and the corporations and the speculations produced a crisis that working people had no role in—and I want to remind viewers that in Europe they didn’t even have the mortgage kind of crisis in European countries that we had here; it was a crisis of the banking sector, the financial, large corporations, and so on—the demand of the people is, we are not going to be made to pay. You’re not going to solve this economic crisis by having the government borrow money, throw the money at the banks and the big corporations, bail them out, and then make the mass of people pay by cutting government payrolls, by cutting government services, all those things called austerity. It will only make the economic crisis worse if governments lay off large numbers of people and cut back public services. That will make everyone’s life harder. It will make more people unemployed and unable to buy things and maintain the mortgage payments on their homes. So for them it is a nonsensical response to an economy that’s already in trouble. Their solution? Simple. The way you overcome a government debt is to reduce the need for the government to borrow, and the way to do that is finally—and they believe it’s long overdue—to use the government’s taxing power to tax those most able to pay. The wealthiest top 5 percent of all European countries are the ones who have done best in the last 30 years. They’ve become, relatively, much richer compared to the average person. They’ve done better. They have the greatest ability. If the government taxed them, it would have the resources to fix the economy, which will not only be better for everybody else, but in the end it will be better even for those rich people than letting the economy continue to deteriorate, which only creates greater tension between the few who are wealthy and the large middle and poor that are really being asked to bear the lion’s share of the cost of an economic crisis they did not cause. FREESTON: While the European actions highlight class differences, Wolff says that the US message of one nation ignores them. WOLFF: It demands a very mild [inaudible] in the nature of an appeal and a hope for something to be done. The Europeans are far beyond that. They’re making a demand. In some countries, for example France, they are really demanding that either the government reverse its policy or the government has to leave. It’s a constitutional crisis.